This is an addictive game for you and your family to fill your spare time . easy and simple to play with a variety of colorful candy with the effect that very entertaining to see and feel while playing it. 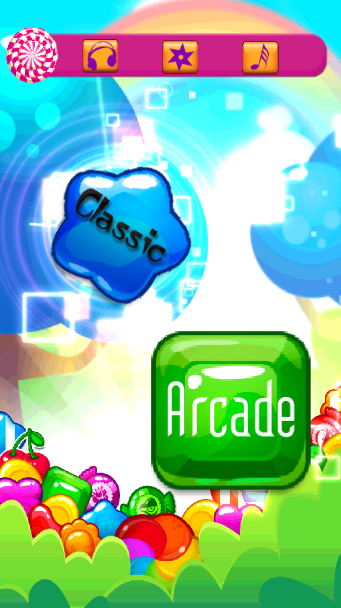 Features: * more than 289 level to play in game *bom and lighting.effect in the game *The candy bomb can eliminate the candy around. 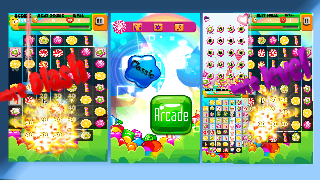 How to play : * combine 3 candy with the same to get a point score * .combine 4 candy the same to get a special boom Useful to blow candy around. * You have to destroy all the blocks in order to complete a level and go to the next level * To get a star you must complete a level with the fast time .